Thrilled to announce that my first-ever self-published e-book was released earlier this week. For this initial entrée into the new realm, with The Northwest: Crab, I have revived some content from projects dating back a decade or so. The Northwest Homegrown Cookbook Series was one of the most personal projects I had the opportunity to work on. For one thing, I was the sole writer of the project and created all of the recipes myself, after a number of co-author gigs and compilation projects working on other folks’ recipes. But even more meaningful to me was the chance to shine the spotlight on a handful of foods that I found to be among the most iconic of this region I’ve called home all my life. Three of the four books–Crab, Salmon and Wild Mushrooms–have gone out of print and I hated to think about that material just fading off into the sunset. After all, the general regional and species information goes much unchanged over the years and I felt that the recipes had “evergreen” interest that was not likely to fade with time. It is a whole new world from the traditional print publishing I’ve been deeply engaged in for the past couple of decades. Which was part of the motivation for just diving in: plenty to learn, new challenges and opportunities in this brave new world of e-publishing. I opted to work with a wonderful Seattle photographer and friend, Clare Barboza, to shoot some striking, delicious photos for this digital version of the material. And the content isn’t coming back to life in the same packages as before. Instead of the whole A to Z volumes that included historical/cultural/species/cooking information plus 40 recipes for each topic, I offer more options. 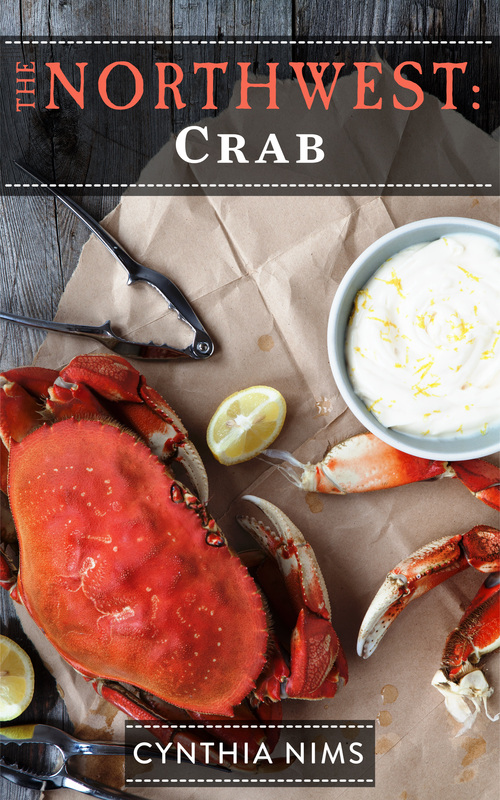 If you’re hungry for the information, you’ll get that in the subject-books, as this Crab volume exemplifies — with 10 recipes to entice you in complement to the information. 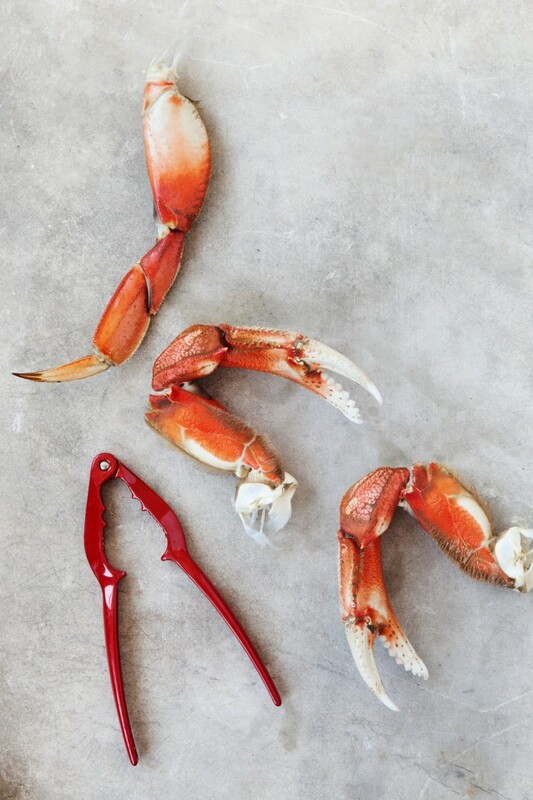 Others who are on the hunt more for just recipes will find a mash-up of offerings from Crab, Salmon and Wild Mushrooms that show up in four e-books: Appetizers, Breakfast, Main Courses and Soups/Salads/Sandwiches, with about 25 recipes in each. I should clarify: other offerings WILL show up in those new e-book titles. With this Crab book now off my desk and in circulation, I’m now madly polishing, updating, formatting the other material and hope to have the remaining e-books released in the coming weeks. Don’t worry, I’ll let you know when they’re all available! Then I can turn my attention to some new ideas that are brewing for this fun, dynamic, intriguing modern world of publishing. The Kindle Store is where you’ll be finding these books. But don’t worry if you don’t have a Kindle device in your hands. There’s a free download that allows you to read Kindle books on pretty much any modern-day device you might have–I used it on my PC as well as on my Android phone. Very convenient! I bought a small dinghy to be able to lay crab pots when the season reopens, and your book will be part of each catch.